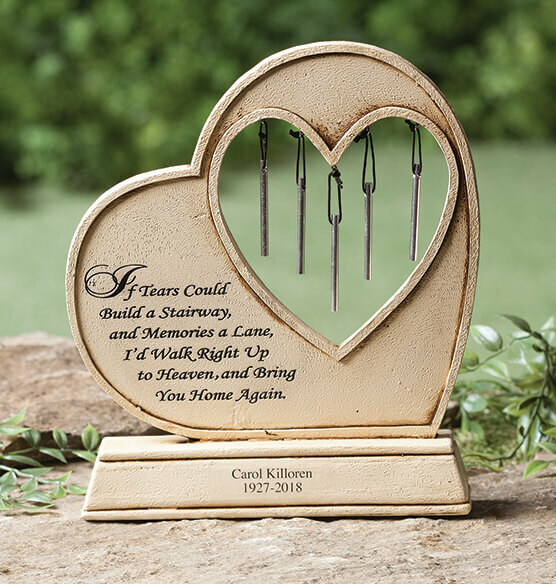 Featuring melodic sounds of chimes, heartfelt sentiments and a personal touch, this Personalized Memorial Wind Chime Garden Stone keeps your loved one's memory close. 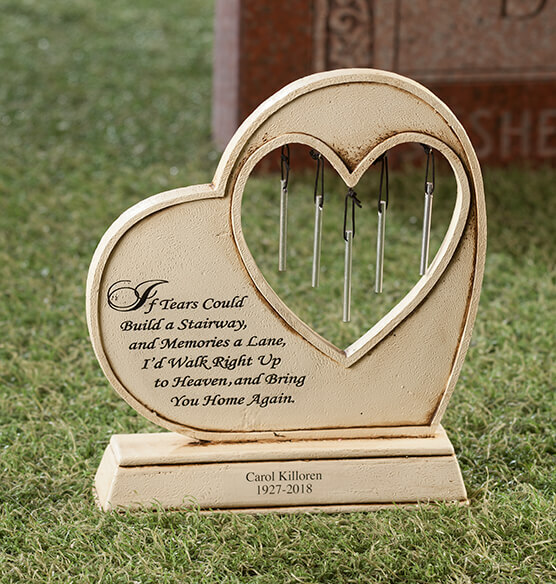 Attached memorial wind chimes lend soft notes of comfort when a gentle breeze beckons. 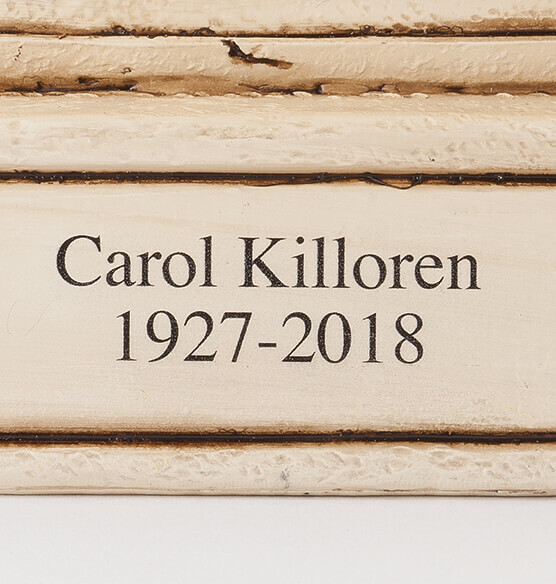 We'll personalize with a loved one's name and dates, or a special message … creating a custom memorial to enhance the garden and warm the heart. Specify name, dates or message. 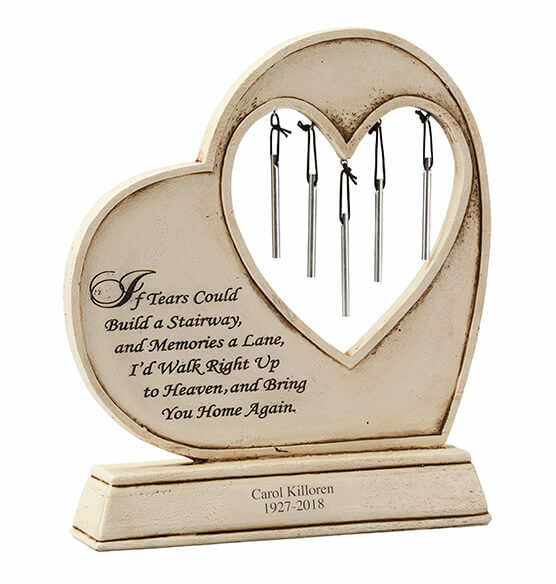 Inscribed with the verse: "If tears could build a stairway, and memories a lane, I'd walk right up to Heaven, and bring you home again"